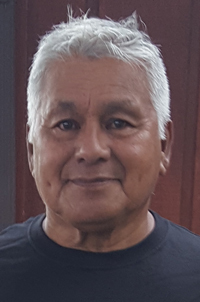 Theodore “Ted” Hiracheta, 75, passed away May 15, 2018 at Parkridge Specialty Care in Pleasant Hill. Ted was born March 20, 1943 to Anacleto and Angelina Hiracheta in Fort Dodge, Iowa. He was raised in the Flats and was a proud “Flat Rat”. Ted married Carol “Sue” on October 11, 1970 and they settled on an acreage outside of Carlisle where they raised their two children and also took in and cared for numerous friends of their children over the years. He was involved in the Carlisle Little League where he coached his son for many years. Ted proudly served his country in the United States Army during Vietnam from 1967-1968 as a “Tunnel Rat” in the 25th infantry division. He worked for Wilson Packing Plant and was a skilled butcher. Ted also worked at the VA Hospital for five years and the United States Post Office until his retirement in 2010. He enjoyed fishing, gardening, taking care of his acreage, family dinners, his annual 4th of July party and Friday morning coffee with the guys. Above all else Ted was a family man and treasured time spent with his family, especially his grandchildren. He was the best dad and papa in the world and will be forever loved and missed by his family. Ted had many special friends who called and visited him frequently during his illness and we wish to thank them for their friendship and loyalty. Ted is survived by his loving wife of 48 years, Carol Hiracheta; son, Ted (Nicole) Hiracheta; daughter, Angel (Robert) Lamb; grandchildren, T.J. Hiracheta, Dakota Lancaster, Maysa Hiracheta and Tedon Lamb; great-granddaughter, Annabelle Hiracheta; siblings, Lily Porrez, Dino, Raymond and Andy Hiracheta; mother-in-law, Juanita Peed; sister-in-law, Connie (Roland) Updike; numerous nieces and nephews, other loving relatives; and many special friends. He was preceded in death by his parents, Anacleto and Angelina (Rivera) Hiracheta and his siblings, Lupe, Ernie, Pete, Angelo and Frank Hiracheta and Helen Ball. The family will greet friends from 2 to 4 p.m. Sunday, May 20, 2018 at Hamilton’s Southtown Funeral Home, 5400 SW 9th Street. Mass of Christian Burial will be celebrated at 10:30 a.m. Monday, May 21st at Christ the King Catholic Church, 5711 SW 9th Street followed by a 12:30 p.m. burial at the Iowa Veterans Cemetery in Van Meter. Memorial contributions may be directed to the Shriners Hospital for Children or the Wounded Warriors Project in loving memory of Ted. The family would like to extend a special thank you to the staff at Parkridge Specialty Care in Pleasant Hill as well as the doctors and staff at Unity Point Des Moines Methodist for their loving care, compassion and support. Condolences may be directed to www.HamiltonsFuneralHome.com.